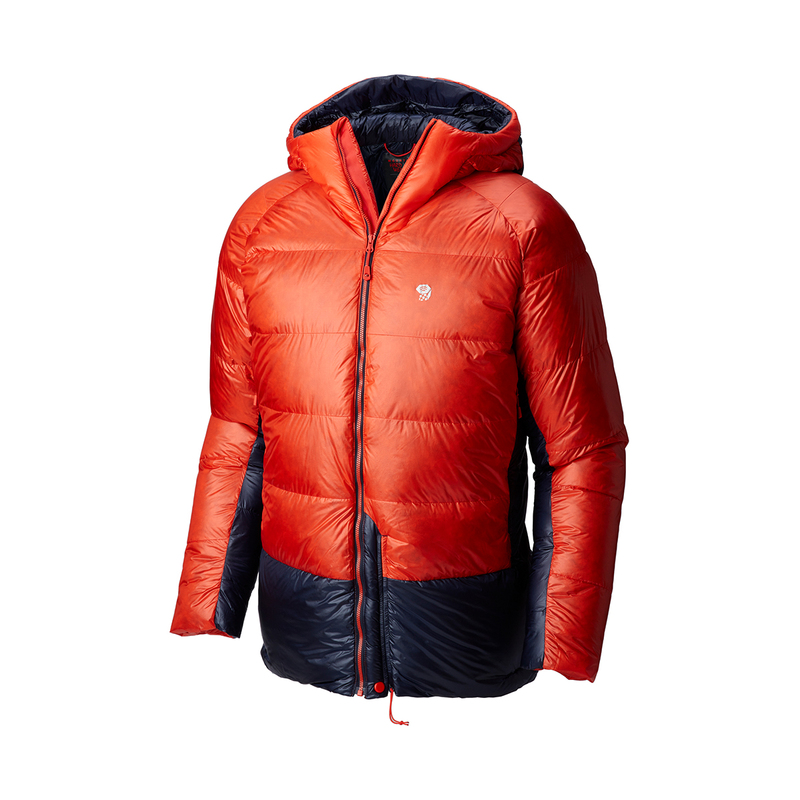 The Mountain Hardwear Men's Phantom Hooded Down Jacket is a high-loft down jacket, which means that it's more packable and warmer for its weight than a down jacket filled with lower quality insulation. 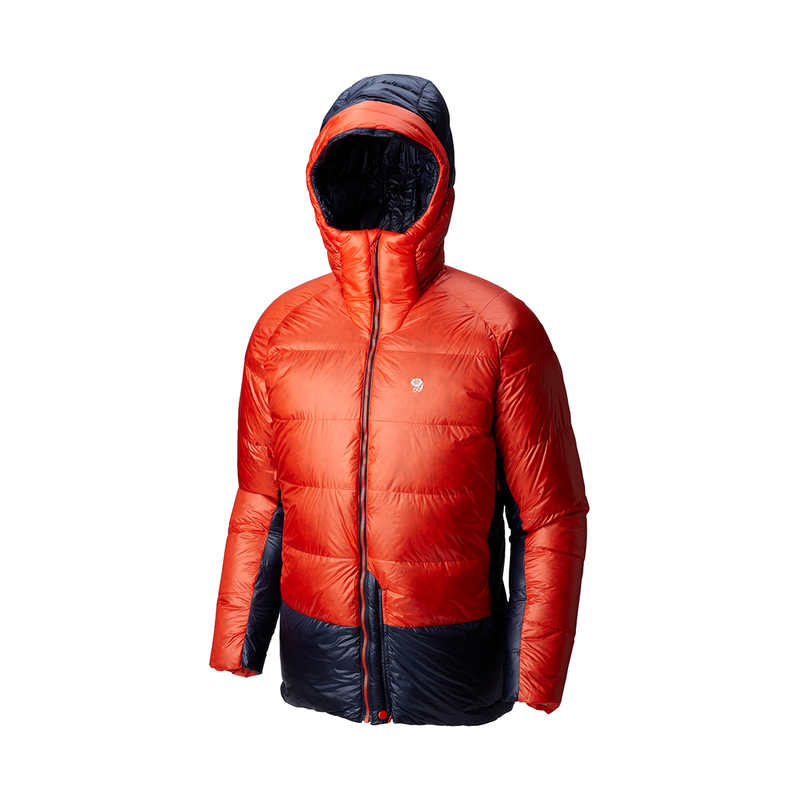 The 850-fill of Mountain Hardwear's Q.Shield DOWN insulation is also water-resistant, so even in damp, wet conditions, the down will retain its loft and keep you warmer for longer than an untreated down-fill would. 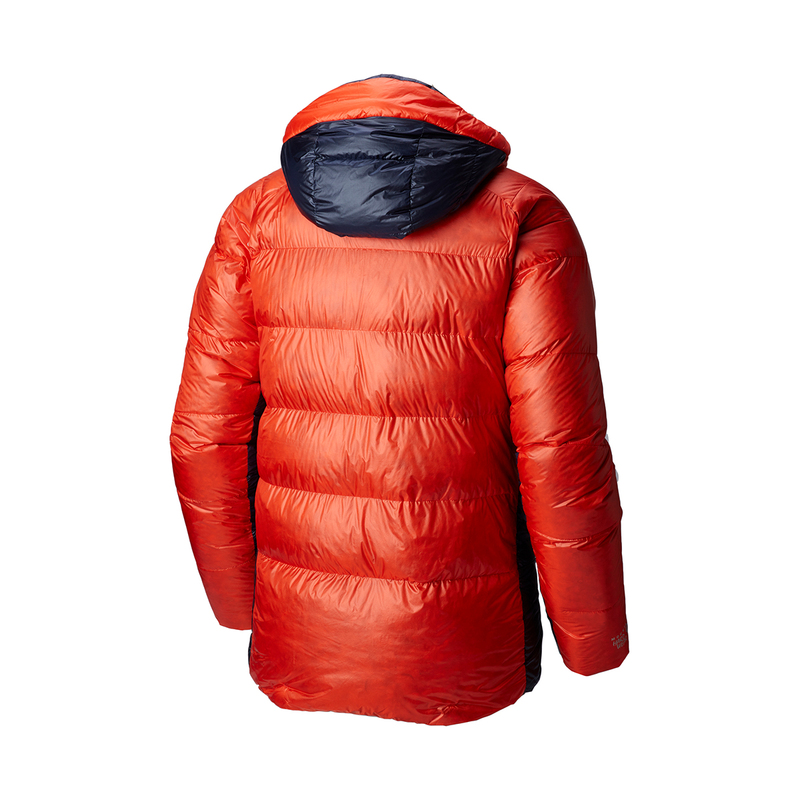 Lower quality down jackets may provide just as much warmth, but they won't be anywhere near as packable or as light as jacket higher quality down insulation. So, if you need to save as much weight and space as possible, and you're looking for the warmth and packability of down without any of the negatives, the high quality, water-resistant down found in the Phantom Hooded Down Jacket will provide you with more warmth, and less to carry. Q.Shield DOWN is a giant leap forward in down performance. Down fibres are infused with a permanent water repellency that helps maintain insulating performance even when exposed to moisture.